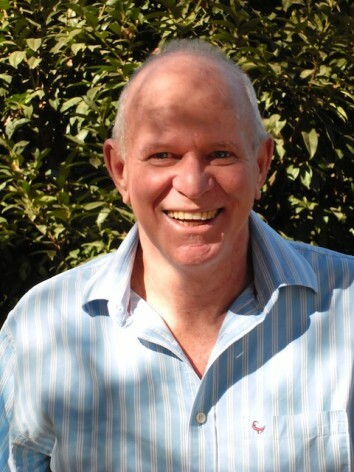 John Fraser interviews PROFESSOR ANTHONY TURTON, a trustee of the Water Stewardship Council of Southern Africa. JOHANNESBURG, Aug 20 2013 (IPS) - Water remains a key component in development policy. And, as the Southern African Development Community discusses how best to develop the region, the effective management of watercourses will be key, says Professor Anthony Turton, one of the foremost experts on water policy in southern Africa and a trustee of the Water Stewardship Council of Southern Africa. The Southern African Development Community (SADC) has an ambitious 500-billion dollar regional development plan that aims to develop the region’s roads, rails, and ports. The generation of power, and establishment of communication lines and meteorological systems have also been outlined as important to the region’s development. Turton told IPS in an interview that the SADC Water Protocol, which outlines the practical implementation of management, protection and use of the shared watercourses in the region, is regarded globally as a model example of regional water integration. Currently, about 70 percent of the region’s water is shared between two or more countries. “Energy is a national developmental constraint for many countries, but if the hydro potential of SADC is fully realised then regional energy security will replace national deficiencies,” Turton said. Q: What is the track record of past cooperation, in terms of success on the plus side or inefficiency and corruption on the other? A: The SADC region is often cited in the global water sector as being the best example of water cooperation in transboundary resource management. The SADC Water Protocol is the foundation document for SADC regional integration, and serves the same purpose as the original coal, iron and steel agreements played in the creation of the European Economic Community and later the European Union. Cooperation over shared water in SADC is thus high. Regarding corruption, the best case was that of Masupha Sole who was a senior executive in Lesotho Highlands water scheme who was indicted and imprisoned for corrupt dealings involving major construction companies in the 1980s and 1990s, some of which were South African. That case became one of the world’s first in getting a conviction, so I guess it is actually a good news story. Q: In practical terms, do any worthwhile future or potential regional water projects come to mind? A: On a grand scale there are major inter-basin transfer projects such as the Lesotho Highlands between Lesotho and South Africa; the North-South Carrier in Botswana; the Eastern National Water Carrier in Namibia and the Cunene-Cuvelai project between Angola and Namibia. Another interesting project is the first major desalination plant at Trekopje in Namibia. I believe this will be the first of many in the SADC region. Q: Do you believe that climate change is a real threat to the region, and if so how might it have an impact? A: In short yes. Greenhouse gas concentration is likely to raise ambient air temperatures by as much as four and maybe even six degrees Celcius in some parts of southern Africa – assuming a global rise of two degrees Celcius is “acceptable”. This will fundamentally alter the conversion ratio of rainfall to runoff, but it will also increase evaporative losses off dams. An appropriate mitigation strategy is Aquifer Storage and Recovery (ASR) (also known as Managed Aquifer Recharge – MAR), now a mainstream technology in places like California, Texas and Australia, but not yet in widespread use in the SADC region. I am currently working with an Australian technology provider to introduce this into Botswana. This stores water underground rather than in dams, preventing the losses to evaporation and thus greatly improving the sustainable yield of a given system. Q: Why is there a need for SADC countries to cooperate over water issues? A: The four most economically diverse countries in southern Africa are highly water constrained (South Africa, Botswana, Namibia and Zimbabwe), whereas some of the neighbouring states are water abundant (Angola, Democratic Republic of Congo and Zambia). Water is to SADC as coal, iron ore and energy was to the creation of the European Economic Community (which later became the EU). Water cooperation in the SADC region will enable regional integration to mitigate these risks by allowing regional water, food and energy security to be guaranteed at regional rather than at national level. Most Southern African countries are naturally endowed with water resourses. If used effectively and efficiently, most of our development and growth can be attained through such resources. Have all the countries in the region ratified the protocol?If not why and who are these?